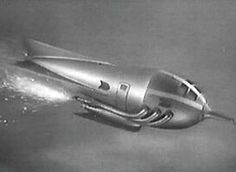 A silver rocket from the classic Flash Gordon serials. It’s that time of year, again, where I’m waiting for the Hugo Packet to arrive so I can start reading things that have been nominated for the award. And while several categories have again been piddled by the Rabid Puppies, I am still looking forward to the experience. Particularly since I learned an important lesson last time: the point of the awards is to recognize excellence. I’m not obligated to read stories to the end—as I always have as a small-press editor, where part of my mission is to help the writer improve the story if necessary. These stories have been nominated because, allegedly, they are great stories. So, this year I’ll give each story three pages to hook me. If by that point I’m not feeling interested enough to keep reading—regardless of whether the story was on anyone’s slate—then it goes under No Award on my ballot. If I am enjoying it, I’ll keep reading. The only stories that will go above No Award will be the ones that kept me hooked until the end. Then I’ll rank those and move on to the next category. It may be a very busy few months, since only one of the novels that were nominated is one I’ve already read. It’s easy enough to read five each of short stories, novellas, and novelletes in the time frame, and graphic novels usually go relatively quickly, but the novels take a bit more time! With this new rule, I suspect that I’m going to enjoy the process this year a bit more than last year. Because the reason I care about any of the awards is because I love science fiction and fantasy. I don’t just love it, I frikkin’ love it. I have written before about how I can’t remember a time when sf/f was part of my life, because even when I was a small baby my mom read aloud to me from whatever book she was reading at the time, and she is one of the world’s geekiest Agatha Christie and Robert Heinlein fans. Thanks to her, my childhood was full of a lot of science fiction. For a few years we faithfully watched episodes of Flash Gordon on channel two every morning, for instance. And our regular trips to the library (and used book store, when we lived in towns big enough to have one) usually resulted in several fantasy or science fiction books coming home with us. It was one of those used bookstore runs when Mom found a copy of Dune in paperback. That book always sticks out in my memory because it was the first time that Mom was reluctant to tell me details about the book while she was reading it. It was also the first book that Mom told me I would have to wait until I was older. I know she really liked it, because it never once went into the pile of books she was thinking of trading in when we were preparing to visit a used book store. The fact that it was forbidden but also apparently really good instilled more than a bit of longing. But it was rare for her to restrict my access to books. She never seemed to worry that I might not understand most books. If I asked to read one of her books, she’d let me, and she was always willing to discuss the story. There were times when I would try one of her books and I’d call it boring, though sometimes it was probably more because I actually was a bit too young to be tackling that particular book. I loved browsing in the science fiction sections of the library or bookstores. Looking at the cover art, which was sometimes a bit weird and confusing, but always otherworldly. Each one seemed to beckon, promising strange and wondrous adventures if I would brave those pages. Science fiction was always about possibilities, to me. I never felt that some sci fi wasn’t for me. I always felt welcome. Science fiction, particularly the way Mom enthused about it, was about making the world a better place. About going to new worlds, or creating new inventions, or learning what it would be like to live with aliens—or elves, or dragons. Do I wish more of the sf/f available in the 60s and early 70s had been more inclusive? Yes. Just as I wish more of present day sf/f was inclusive of people of color, queer people, et cetera. We’re getting better, but still have a ways to go before the representation matches the real world. Whenever I pick up a new science fiction book, especially if it’s one that’s been recommended by a friend, I get a flash of that feeling of wonder and anticipation; the sense of strange adventures beckoning. For a moment, I’m that little boy in the bookstore, clutching a story, and about to plunge into something wondrous!